In November 2017, the most recent Nepal Demographic and Health Survey (NDHS) was published with national data from 2016. The 2016 NDHS is one of the most comprehensive demographic and public health reports released by the Nepalese Ministry of Health in the last five years. Below are some highlighted findings from the report that illustrate the current state of maternal health in Nepal, progress made so far and gaps to address moving forward. The maternal mortality ratio (MMR) in Nepal decreased from 539 maternal deaths per 100,000 live births to 239 maternal deaths per 100,000 live births between 1996 and 2016. In 2016, roughly 12% of deaths among women of reproductive age were classified as maternal deaths. In 2016, 84% of pregnant women had at least one antenatal care (ANC) contact with a skilled provider—defined as either a doctor, nurse or midwife/auxiliary nurse midwife—which was a 25% increase from 2011. The percentage of women who had four or more ANC visits increased steadily from 50% in 2011 to 69% in 2016. Although the report showed increases in skilled ANC utilization, only 49% of women received counselling on five critical components during ANC: use of a skilled birth attendant (SBA), facility-based delivery, information about danger signs during pregnancy, where to go in case of danger signs and the benefits of postnatal care. Utilization of ANC services was a significant predictor of place of delivery and SBA-assisted births. Women in the highest wealth quintile with a high education level and those residing in urban areas were much more likely to have four or more ANC contacts from a skilled provider compared to women of lower socioeconomic status and education and those living in rural areas. Among the notable findings in this year’s report was the rise in facility-based delivery and the use of SBAs. Between 2011 and 2016, there was a 22% increase in both the proportion of institutional deliveries (from 35% to 57%) and births assisted by SBAs (from 36% to 58%). Doctors assisted 31% of total deliveries, and nurses and midwives/auxiliary nurse midwives assisted 27%. While the percentage of deliveries attended by traditional birth attendants decreased from 11% in 2011 to 5% in 2016, the home birth rate remained high at 41%. Many women in Nepal still deliver with no one present or with an untrained friend or relative. There were large socioeconomic disparities in this area as well. While 90% of women in the highest wealth quintile delivered in a health facility, the same was true for only 34% of women in the lowest quintile. 89% of the wealthiest women delivered with an SBA, but only 34% of the poorest women did so. Similarly, the percentage of births attended by SBAs was 85% among women who had secondary or higher education and 38% among women without a formal education. Rates of facility-based delivery and the use of SBAs also varied among different provinces. The percentage of women who received a postnatal care (PNC) assessment within two days following delivery rose from 45% in 2011 to 57% in 2016. 81% of women who delivered in a health facility and 13% of women who delivered elsewhere received PNC within two days of delivery. However, there were significant socioeconomic disparities in PNC utilization: 81% of women in the highest wealth quintile had an early PNC visit compared to only 37% among women in the lowest wealth quintile. Overall, Nepal has made substantial progress in improving maternal health care access and utilization. However, disparities remain according to women’s socioeconomic status, education level and place of residence. Additionally, efforts are needed to improve the quality of maternal health care to end preventable maternal deaths. Nepal has committed to doing its part to achieve Sustainable Development Goal (SDG) target 3.1 of reducing the global MMR to less than 70 maternal deaths per 100,000 live births by 2030. To achieve this ambitious target, Nepal will need to reduce its MMR by at least 7.5% annually addressing severe inequities in maternal health access, utilization and quality. Learn more about maternal mortality under the SDGs. Explore data on maternal and newborn health care coverage in countries across the globe on the Countdown to 2030 website. 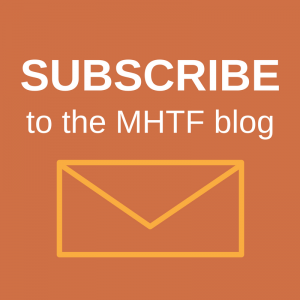 Are you interested in writing for the Maternal Health Task Force blog? 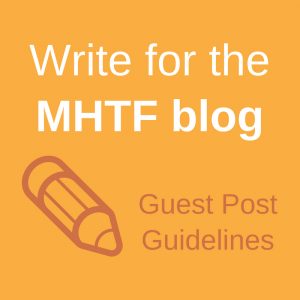 Check out our guest post guidelines.